Not every debt collector who contacts you is attempting to collect a legitimate debt. Sometimes debt collectors scam consumers into paying debts that aren't real or perhaps have already been paid. Federal law gives you the right to request a debt collector provide proof that you owe a debt. It's the best way to ensure that you're not paying a debt you don't owe or a debt that the collector isn't authorized to collect on. The debt validation request is time sensitive. You must make your request in writing within 30 days of the debt collector's initial contact with you. If you wait more than 30 days, your validation request may not be covered under debt collection law. Your rights are not protected if you make your debt validation request over the phone. Don't worry if you don't know what to say in a letter; there's one below that you can use as a template. 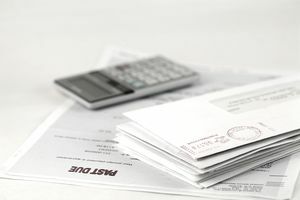 Once you send a request for proof - also called a debt validation letter - the collector must stop collection efforts until they've sent sufficient proof of the debt. It means they cannot call you, send you letters, or list the debt on your credit report. In the letter, reference the date of the initial contact and the method, for example, "a phone call received from your agency on August 18, 2015." You also need to provide a statement that you're requesting validation of the debt. Do not admit to owing the debt or making any reference to payment. If the debt has passed the statute of limitations and is no longer legally enforceable, making promises to pay or acknowledging the debt is yours could restart the clock. Send your letter via certified mail, so you have proof of when the letter was mailed and received. If the debt collector does not send you proof of the debt, any future collection efforts are in violation of the Fair Debt Collection Practices Act. Note that your account may be assigned or sold to a new debt collection agency. In that case, your validation request from the previous collection agency does not apply. Otherwise, if the debt collector does send proof, make sure the debt is not within the statute of limitations, then decide how you want to proceed. Paying the debt, especially if it's yours, takes care of the obligation for good. You may be able to negotiate a settlement for less than the full balance due. Finally, you can ignore the debt if you have no interest in paying it, but keep in mind that collection efforts can continue indefinitely.